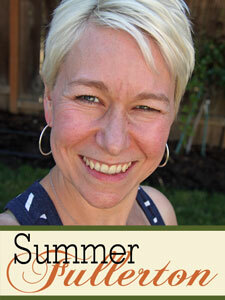 Summer Fullerton lives just west of Portland, OR, with her husband Brad and their 2 kids Grant and Corinne. Summer’s creative journey began when she was a little girl. She grew up surrounded by creative inspiration, as her mother made dolls, jewelry, pottery and even designed wallpaper. Summer received her first camera at only 6 years old and her first SLR when she was 12. When Summer was in high school she kept scrapbooks of photos and memorabilia taped to typing paper tucked into 3 ringed school binders. It is only natural she started scrapbooking as we know it today after the birth of her son 15 years ago. Summer considers herself a traditional clean lined multi photo scrapbooker. She absolutely loves playing with a little of the unexpected on her layouts whether it’s a pop of color or a product used in a new way. 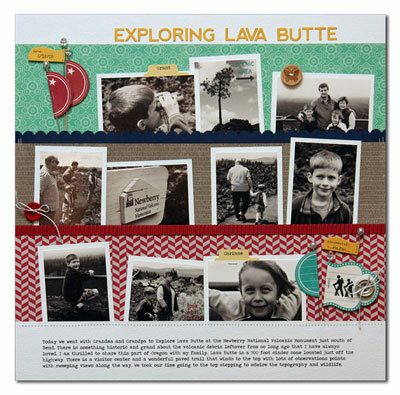 Summer has been published in every major scrapbooking publication as well as being named a 2007 Creating Keepsakes Hall of Fame Winner and 2009 Memory Makers Master. She also co-wrote the book Remember This which was published in 2010. 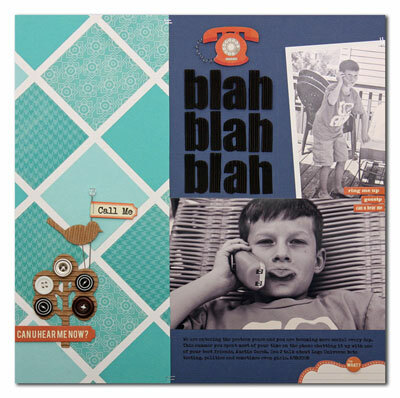 She currently designs for Jillibean Soup, Lily Bee Designs and Scrapbooking and Cards Today. You can see more of her work at her blog, so there I was.